All shook up! Sited on one of only 20 Shaker communities that existed in the US, the Shaker Museum in Mount Lebanon is a vital resource into understanding the doomed religion and its mysterious followers, who are today remembered for their Spartan furniture and agricultural and architectural innovations. To help keep the museum in operation, author and musician Wesley Stace AKA John Wesley Harding has assembled a benefit event featuring his all-star Cabinet of Wonders revue at Club Helsinki on October 11. 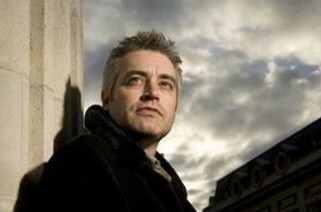 In addition to Stace, who has released 16 albums under the name John Wesley Harding, one under his birth name, and published four novels, the handpicked, vaudeville-style revue will also include musicians Juliana Hatfield (Blake Babies, the Lemonheads), Tracy Bonham (“Mother Mother”), Suzzy Roche (the Roches), and Stephin Merritt (Magnetic Fields); novelist Charles Bock (Beautiful Children); author Daniel Mendelsohn (New York Times, New York); and comedian Dave Hill (WFMU’s “The Goddamn Dave Hill Show”). Wesley Stace’s Cabinet of Wonders revue will take place at Club Helsinki in Hudson, New York, on October 11 at 8pm. Tickets are $50-$100. A portion of the ticket sales will benefit the Shaker Museum/Mount Lebanon. For more information, call (518) 828-4800 or visit www.helsinkihudson.com.